Cockleshell Cottage is a superb traditional flint cottage, located in an enviable position at the end of a pretty row of two other terraced seaside properties. 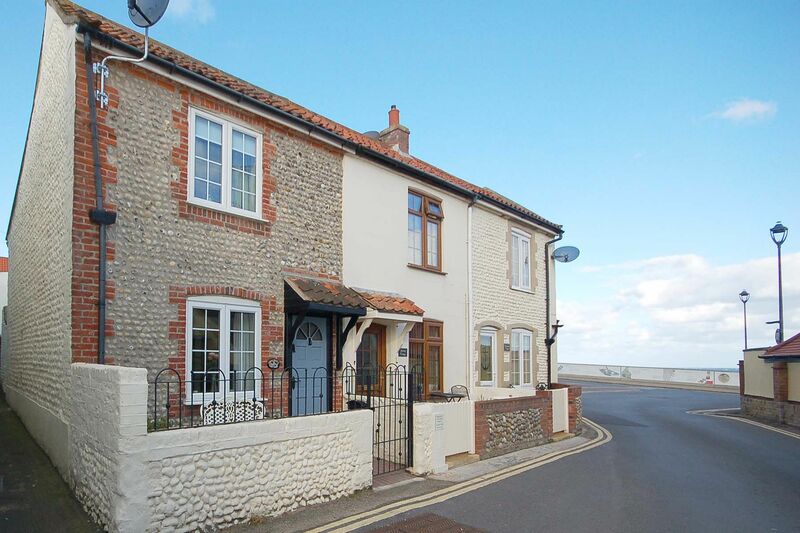 Situated only yards from the sea, it’s located in a prime location for Sheringham. Guests can look forward to the warmest of welcomes at this beautiful cottage, as options are endless to make the most of this characterful property. Escape for an evening and enjoy a cosy night in, or make the most out of the fantastic location to the beach and prepare for fun days in the sand and sea. Once a fisherman’s home, this now charming cottage has a luxurious interior with an eclectic mix of traditional and seaside features with very-comfy furnishings throughout. With a quaint, private courtyard at the rear of the property sit outside and experience the salty sea air or enjoy the cosy garden room with a warming hot drink or perhaps a cocktail or two!! 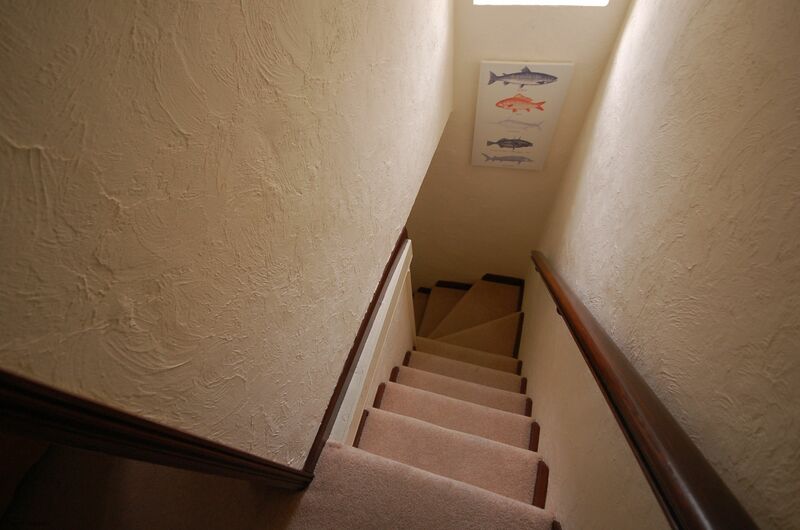 Please note that this property is a former fisherman's cottage and does have a steep staircase. Ground floor: Front door leading into Lounge: with Sky TV, flowing into the Kitchen: with electric cooker, fridge/freezer, washer/dryer and microwave. Family Shower room: with wash basin and WC. Door leading into Dining room and small patio. First floor: 1 double bedroom and 1 single bedroom. Please note: Outside: enclosed patio area to the rear of the property with seating. Also small paved area to front with a bench. Amenities: WIFI. Bed linen and towels provided. Location: beach 20 metres, pubs and shops a 2-minute stroll.